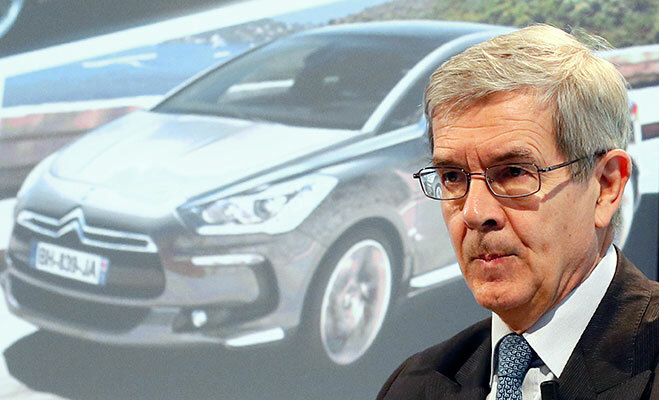 Philippe Varin, Peugeot’s CEO, has said that the company needs to restructure its production base in order to reduce losses. He also warned that the company might be heading for a €700m deficit in the first half. The company plans to cut 3,000 jobs in the Aulnay plant near Paris, which will stop producing Citroën’s popular C£ model by 2014; half of those employees will be redeployed to another plant in Poissy. A further 1,400 jobs will be cut in Rennes. Peugeot will also open a voluntary redundancy plan for 3,600 white collar employees throughout the company. The French government has supported Peugeot with around €4bn in aid recently and has announced that it will be appointing its own expert to review the company’s financial situation. “We do not accept the plan as it stands,” said Arnaud Montebourg, the industry minister. The job cuts are being seen as the first big industrial crisis in President François Hollande’s government. Analysts are fretful that Peugeot’s cuts will empower other car manufacturers, like Fiat, to move to close other plants in Europe.